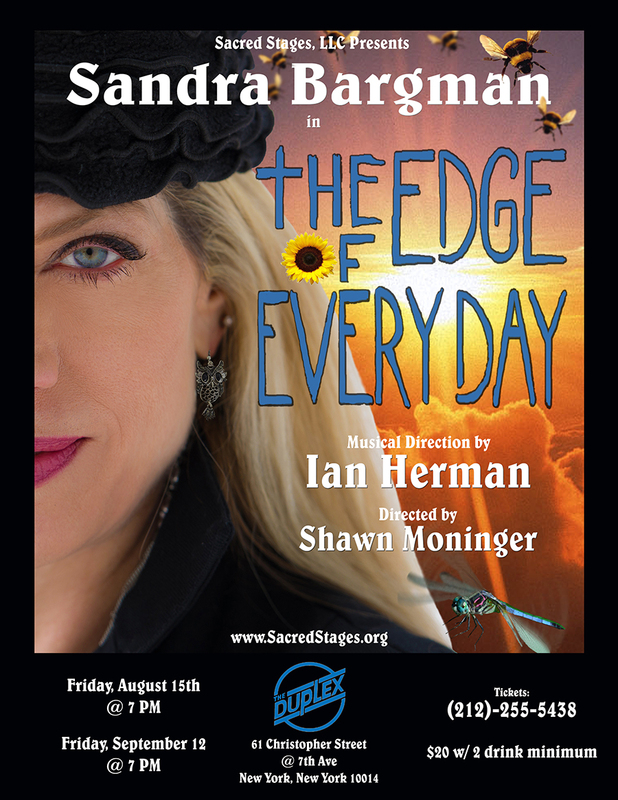 The Edge of Everyday with Sandra Bargman and Ian Herman (presented by Sacred Stages, LLC and directed by Shawn Moninger) examines our fear of change and ultimately, our acceptance of the dichotomies of Life. “The Edge” is where opposites collide in an explosion of chaos and creativity, and Sandra explores the tension between these paradoxes with poignancy, comedy, and song. 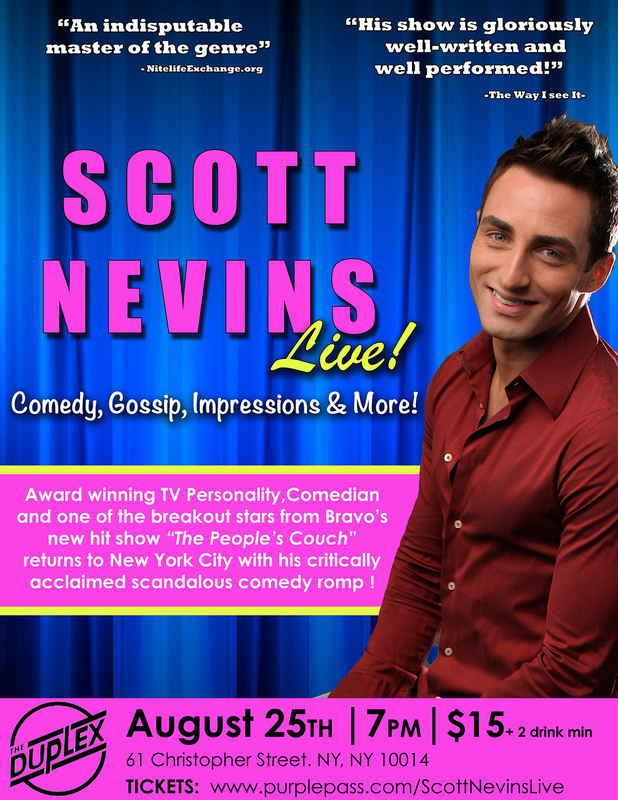 Award Winning TV Personality, Comedian and one of the breakout stars of Bravo’s new show “The People’s Couch”, SCOTT NEVINS returns to NYC with his scandalous comedy romp “Scott Nevins Live!” on Monday, August 25th at 7:00pm! The evening is jam packed with side splitting insider Hollywood gossip, never-before-heard outrageous tales of Scott’s favorite Stars, hilarious personal anecdotes about his family and dating life, his stint as a Judge for the Miss Kentucky Pageant, plus Nevins’ infamous show stopping celebrity vocal impressions! *The show will start PROMPTLY at 7pm, so please arrive early! Thursdays August 14th at 9:30pm snd August 21st at 7pm. 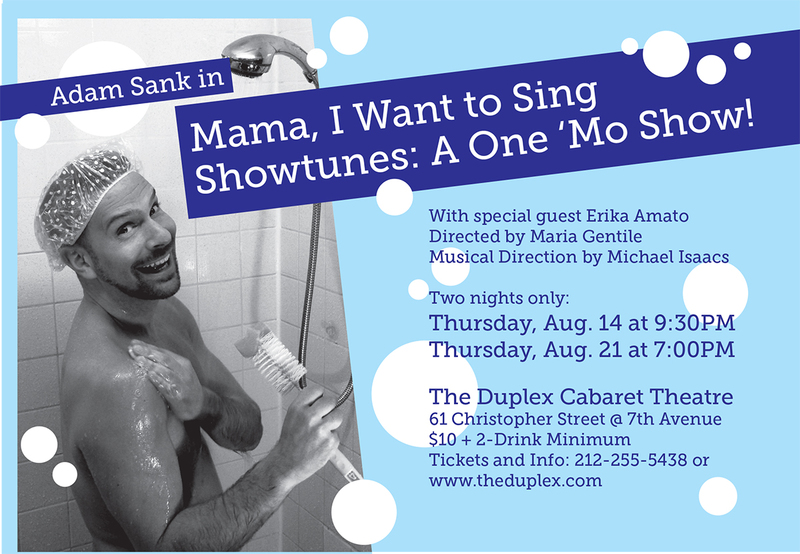 Popular gay comic Adam Sank performs his first-ever cabaret show, complete with music, comedy and humiliating stories of childhood. With special guest Erika Amato, acclaimed singer-actress. Directed by Maria Gentile. Musical Direction by Michael Isaacs.